Tampere Region Economic Development Agency Tredea was established in 2009. Since August 2017, the auxiliary business name Business Tampere was introduced and is primarily used in all marketing. Visit Tampere is an affiliate company of Business Tampere, and operates as a regional tourism development company. 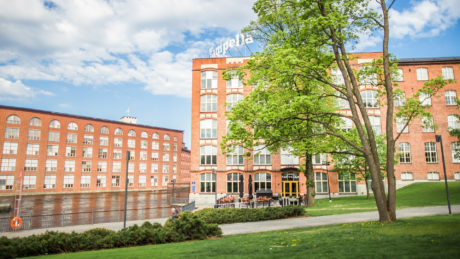 Business Tampere is owned and financed by eight municipalities and towns in the Tampere region: Tampere, Kangasala, Lempäälä, Nokia, Orivesi, Pirkkala, Vesilahti ja Ylöjärvi. Our activities are guided by the Tampere City Region Economic Development Programme Creative Zest for years 2017- 2021.
Business Tampere is a service portal for businesses and entrepreneurs operating in the Tampere region or willing to be located here. We offer you the business development services and expertise of the Tampere region in one address. Behind Business Tampere, you can hear the voice of the region’s business services experts: We are here for you! At Business Tampere service portal you will find the services in the Tampere region relating to the establishment and promotion of business operations, growth, internationalisation, innovations and digitalisation, all in one place. We strengthen the attraction of the region by providing businesses and entrepreneurs an operating environment that promotes the emergence, operation and growth of businesses as well as competitiveness and employment. We offer you the right contacts, practical advice and concrete assistance to overcome challenges in your business operations. We develop smart city solutions in close cooperation with companies. We help experts and businesses to network. We are there for help when international investments, capital and experts are attracted to the region. You can also use our expertise when your company is considering relocating to the Tampere region. For international companies, we produce collected information about the region and about research collaboration and investment opportunities. We inform about current business events in the region. We share business news, articles and blog posts featuring businesses, experts, universities and developer communities in the region. The service portal is managed by Business Tampere. 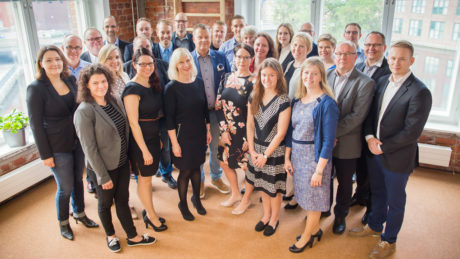 The content of news section, Business Tampere Magazine, is produced jointly by Business Tampere, the City of Tampere, other municipalities in the city region, universities and other regional providers of business services. In the social media, you will find us and the current business news of the region under Business Tampere in Twitter, Facebook, LinkedIn and YouTube. Follow us by #businesstampere. You find us in street address Kelloportinkatu 1 B, 33100 Tampere, Finland. Welcome! We can accept only electronic invoices, thank you for your understanding.